Greetings. 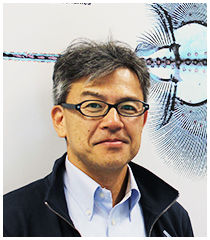 I am Hiroyuki Takeda and I have been elected President (representative director) of The Zoological Society of Japan by the board of directors. The Zoological Society of Japan is profoundly close to my heart as it was where I made my first presentation at an academic conference. More than 30 years have since passed, but my nervousness during that oral presentation still remains fresh in my mind. From that time on, despite short periods during of inactivity, I have continued to be a member and have recently become involved as a director. The ZSJ is one of the organizations that has nurtured and supported me. However, on this occasion, I have been honored with the appointment of President. I shall assume the responsibility of leading the organization for a term of two years and it is my hope that, through this position, I can repay my debt of gratitude to the ZSJ. For the two-year term, the following two objectives will be given greatest priority. 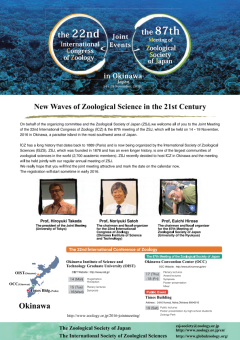 The Annual Joint Meeting, to be held from November 15 to 19, 2016, at the Okinawa Institute of Science and Technology Graduate University (Onna, Okinawa) and the Okinawa Convention Center (Ginowan City), is to be “the big event” for The Zoological Society of Japan. In line with the main theme, “New Waves of Zoological Science in the 21st Century”, we aim to show Japan’s high research standards in zoological research worldwide and to promote the international exchange (increased visibility) of our young members who reinforce those high standards. All new directors will be brought in as organizational committee members in a concerted effort to mobilize preparations by the ZSJ. It is particularly important that as many young members as possible nominate themselves or others for appointment as a symposium workshop organizer, in order that they experience the processes from planning to implementation. Details will soon be posted on the ZSJ website and our member site, but first, please mark your calendars with the dates of 87th Annual Joint Meeting. 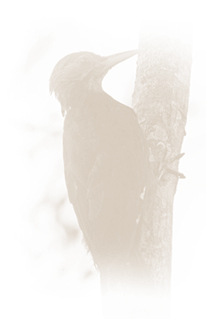 Zoological Letters will be the second journal published by the ZSJ, in which Dr. Shigeru Kuratani is the Editor-in-Chief. 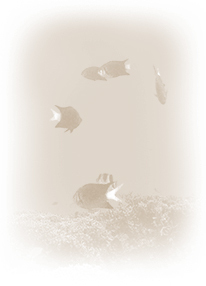 As a sister journal of Zoological Science, we intend to, while continuing to cover the broad range of basic fields of zoology, further adapt it to modern formats in academic publishing and strengthen our international appeal, beginning with carefully selected original papers and reviews from home and abroad. Please join us in advocating Japan’s high zoological research standards through Zoological Letters. Of course, our objectives are not merely the “big issues” mentioned above. The strengthening of branch meetings that was emphasized by the preceding president, Kiyokazu Agata, has begun to bear results. At every meeting, the true potential of the branches and their members is apparent in their scientific presentations. We would like to continue to support branch activities. We also look forward to proactive efforts of the various committees. Furthermore, the post-incorporation organizational structure of the ZSJ remains incomplete and we intend to proceed steadily toward its realization. It is our belief that each of the members is aware of the new trends that have arisen in the field of zoology. Next-generation sequencers, genome editing technologies, imaging technologies, etc., have allowed us to study not only model organisms, which had heretofore been mainstream, but also non-model organisms. Aquatic invertebrates and other diverse animal groups that have been within the realm of SZJ research are becoming the core of basic biology. The 21st century is indeed the age of zoological science. 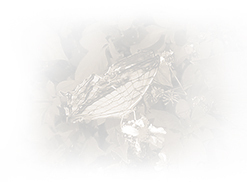 The Zoological Society of Japan shall endeavor to ensure that every one of its members takes hold of these trends and develops their studies founded on the "spirit of inquiry". Thank you for your cooperation. The Biological Society of Tokyo, the forerunner to the Zoological Society of Japan, was founded on October 20, 1878, much earlier than academic societies for other basic sciences.The Meiji (1868–1912) pioneers who founded the Society did so by proactively incorporating modern Western zoology based on elementary knowledge of the natural sciences of the Edo period (1603–1867). In 1885, the Society changed its name to the Zoological Society of Tokyo.It began publishing a journal of zoology in 1888 and then a zoological bulletin in European language journals in 1897. In this way, zoologists exerted unparalleled effort in shaping the Society in its early days while studying the latest trends in Western zoology.These efforts later served as major contributions to the basic structure for producing creative research in the world of Japanese zoology.Further, as many universities were founded from the Taisho period (1912–1926) to the beginning of the Showa era (1926–1989), new departments of zoology were established, and the number of zoologists grew. This new wave of zoology study also advanced the modernization of content in the field as well as the differentiation of various specializations, such as taxonomy, embryology, physiology, morphology, genetics, and ecology. In 1923, the Society changed its name again to the Zoological Society of Japan. In 1929, the Society held an event to commemorate the 50th anniversary of its founding. However, as the Second Sino-Japanese War erupted and expanded into the Pacific Theater of World War II, the existence of academic societies for basic sciences hung in the balance.During this period, zoologists who loved animals and zoology endured many hardships. Amid these hardships, they continued to gather research material, devised research methods, held fast to their beliefs, and poured their blood and sweat into maintaining the Society. In 1939, the Zoological Society of Japan Award was established and, despite the ongoing war, was awarded to Society members Soichi Fukuda and Toshijiro Kawamura.After the war, the efforts of Fukuda and Kawamura were rewarded when they were honored with the Japan Academy Prize. Following World War II, enrollment in the Society grew to more than 1,000 members. In addition, the founding of new-system universities stoked interest in zoology among the young generation, leading to an expansion in the quality and quantity of researchers. In 1954, the commemorative event for the 75th anniversary of the Society's founding served as an opportunity for rapidly increasing the Society's membership.Meanwhile, the rise of molecular biology and biochemistry, symbolized by Watson and Crick's discovery of the double helix structure of DNA, had a major effect on the Society, steering the direction of its research. As Japan began a period of high-level growth in the early 1960s, the Society came to be involved with environmental, resource and population, and energy issues.Exploration also began in research fields related to chemistry, biochemistry, medicine, agriculture, and engineering. This period likewise saw the founding of the Biophysical Society of Japan, Japanese Society of Developmental Biologists, Japan Society for Comparative Endocrinology, and Japan Society for General and Comparative Physiology (currently the Japanese Society for Comparative Physiology and Biochemistry).Consequently, research became more specialized, and a deeper class of researchers emerged to handle this specialization. At the event commemorating the 100th anniversary of the Society's founding in 1979, then-president Nobuo Egami stated in his opening address that the Zoological Society of Japan should respect the tradition of zoology, maintain the status of zoology as a natural historical academic discipline, extend support to developing new science, and strive for harmonious development in zoology. These remarks demonstrate the rationale of the Society and express its goals precisely. On June 29, 1993, after years of earnest petition, the Zoological Society of Japan was certified as an incorporated association. The committee activities of the Society then increased unprecedentedly; in addition, in accordance with the wishes of many committee members, biology was added as a major in Class One national civil service examinations.Meanwhile, as many people in the life sciences have mastered molecular biological techniques, the elucidation of the diversity of biological species, currently said to number in the tens of millions to the billions, has come into focus as the next major theme in the world of biology. The Society has proposed for and is currently devoting itself to the realization of a large-scale project called "Gaialist 21." This project aims to accumulate comprehensive records of all living systems by analyzing and preserving their genomes, DNA, cells, and gametes. On July 2, 2012, the Zoological Society of Japan became a public interest incorporated association. Copyright © 2014 The Zoological Society of Japan. All Rights Reserved.